Clothes. We all need them and chances are you have at least a couple of the wares that V.F. Corporation (VFC) offers. V.F. Corporation has a huge stable of brands with two sporting $2 B in annual revenues and several with double digit year over year growth. The recent selloff is not a sign of operations declining but rather just brings the valuation down to more reasonable levels. The dividend was just increased by 15% to $0.37 per quarter which marks the 43rd consecutive year of increasing dividends making V.F. Corporation a true dividend aristocrat. 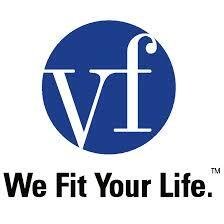 Shares of V.F. Corporation closed trading on Tuesday, October 27th at $66.30 giving investors a current yield of 2.23%. The following tables/graphs are taken from my personal stock analysis spreadsheet. Data for the stock analysis was sourced from V.F. Corporation. 's investor relations page, Morningstar, and Yahoo Finance. Owners of V.F. Corporation's share have earned absolutely outstanding returns over the last decade. According to longrundata.com, shares of VFC have earned investors a total return of 549.6% or 20.6% annualized over the last decade. Those numbers are market returns at specific snapshots in time and aren't necessarily indicative of the business results over the same time period. Looking at the historic growth rates for per share dividends, earnings, revenue, and free cash flow gives a better idea of the true operational results that V.F. Corporation has delivered. Continue reading the V.F. Corporation dividend stock analysis on Seeking Alpha. Also check out more of my stock analyses on my Stock Analysis page. Shares of V.F. Corporation closed trading on Tuesday, October 27th at $55.30 giving investors a current yield of 2.23%. I was going to point out the same typo.